Nearly every keen gardener is interested in rare and unusual plants, we see them at plant fairs, online and at a few specialist rare plant nurseries. 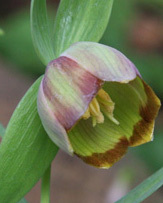 And with a whole world of plants to choose from, finding rare plants online has never been easier. So what is the attraction of rare plants. 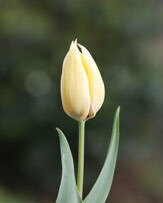 Growing plants that are a 'little difficult' to find or to grow is the sign of the true gardener, tropical plants that just shouldn't grow in our climate, or hard to find species tulips and narcissus are all on the list of 'can do' for the plant collector. 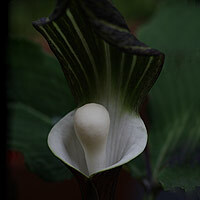 Species such as Arisaema sikokianum (picture right) was rarely found in nurseries until recent years. Specialist nurseries are a good place to start scanning for those rarer and difficult to find species. We list growers who specialise in different plant species, many have a few very 'special plants' as well as the easier to grow varieties. Rare and Unusual Plants can not only be found at specialist rare plant nurseries as well as plant fairs. 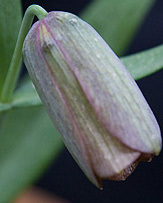 The Botanical Society of the British Isles maintains a Rare Plant Register that lists nationally rare plants. We also have seed lists from collectors, and many of these are in the UK, but many more are in Europe, the US and a few avid collectors in Australia as well will sell seed. Many hard to find and unusual plants can make a great feature in the garden or conservatory. Some plants are hard to find in a particular country, are just few in numbers, or are difficult to cultivate, however not all rare plants are difficult to grow, while some others require a degree of care. Plant Collectors and those with an interest in rare plants or the unusual will find a great selection of interesting, beautiful and 'strange' plants at the nurseries listed on this page. Online only based in Suffolk. Specialist nursery stocking sempervivum, plumeria, adenium, myrrh, coffee, cotton, willy chillies, novelty moving plants, exotic fruits, mimosa, silk tree, acacia, dried gourds, ginseng, carnivorous. 28 Marywell Brae, Kirriemuir, Angus, Scotland DD8 4BP, UK. Rare and unusual Plants. 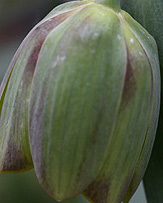 Temperate and tropical flower bulbs and plants from around the world.